Amory is the Digital Programming Director and Web Monkey for Townsquare Media Victoria. If it's geeky, he probably knows about it. This week’s Student of the Week is Alec Sanchez. Alec is an avid drummer who loves playing in the band. He enjoys his time outside and would rather be outdoors than inside playing a video game. His favorite foods are steak and fish. As you may have noticed, we've changed our Kid of the Day to the Student of the Week. The main change to keep in mind for our VIPs is that you will only have to enter the Student of the Week once each week on our VIP page. Doing so will be worth 5000 VIP Points! Now it's easier than ever to find out what that last song you heard on Q92 was! You can use the Top Songs List to know what you heard and what you can expect! For those of you with friends or family on the east coast, we've put up this animated map to help you track the progress of Hurricane Irene. This September 3rd will see the triumphant return of the Armadillo Fest to Riverside Park! Virginia Earthquake Felt as Far Away as New York, Toronto, and Washington D.C. The tagline for CMT's latest show "CMT Made" is "Dreams Have No Age Limit". 28-year-old Victoria resident and police officer Chris Guerra will be putting that to the test tomorrow night on the premiere episode of "CMT Made". Austin, Aug.4, 2011 - Consumers and businesses are asked to reduce their electricity use during peak electricity hours from 3 to 7 p.m. today to avert the need for rotating outages. Casey Anthony Mask on eBay Sold for Almost $1 MILLION? It's highly unlikely that the final bid on this Casey Anthony Mask is legitimate. The surprising fact is that this is actually a thing, that there is a mask of Casey Anthony floating around and that people actually bid on it. 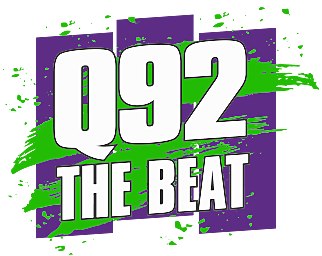 We've got a great new way for you to listen to Q92 online and check out what songs we're playing on the radio right now. Earlier last month, it was announced that the local theater would be running a Harry Potter Double Feature, Part 1 of Deathly Hollows and then Part 2 right at 12:01AM Friday morning.